After what seems like months of rain during the winter, the importance of drainage was made evident once again at The Castle Course. 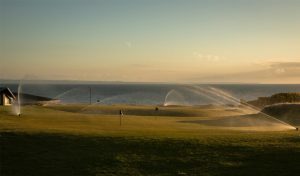 During construction and since the course opened in 2008 many drains have been put in place with the intention to remove rain water from the playing surface as quickly as possible giving us the firm surfaces that all golfers crave. 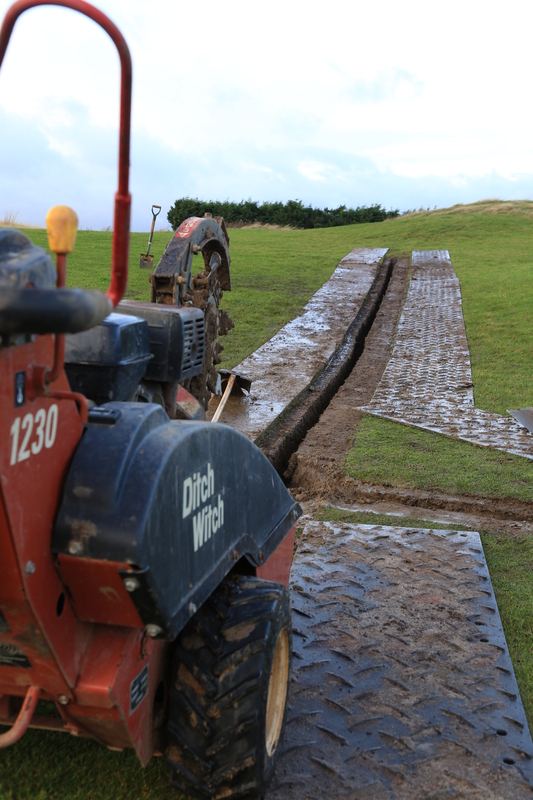 Once again, this winter’s projects involved drainage work being carried out on the course. 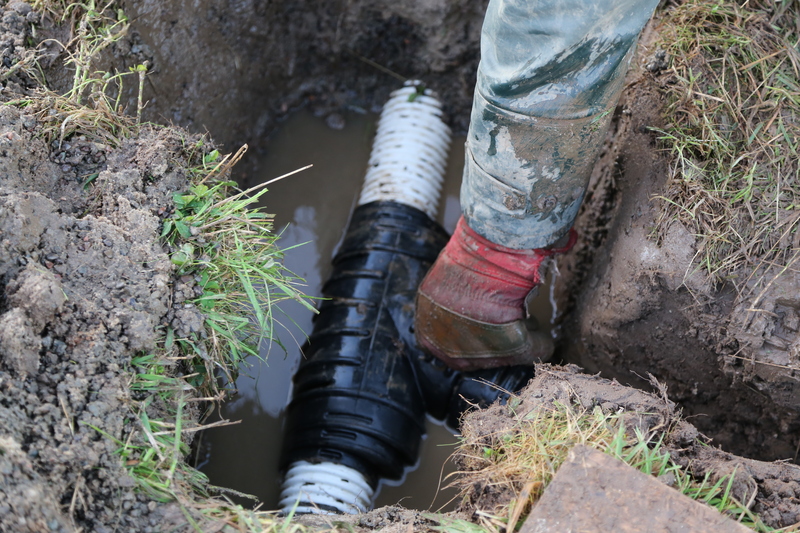 Identifying the wet areas and where drainage is required is perhaps the most important part of the whole process. This is simply done by walking around the golf course after heavy or prolonged periods of rain and marking the wet areas on a map. 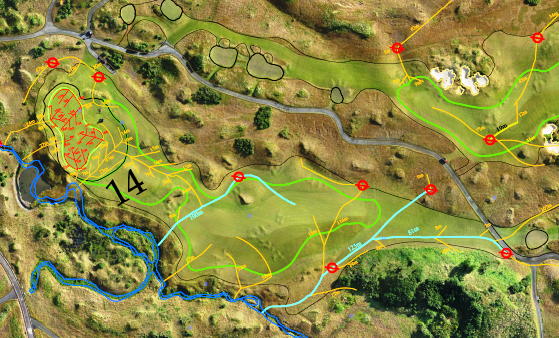 Fortunately we have extensive drainage plans that were part of the original course design so this allows us to plan and tie in any new drainage to existing lines. After studying the drainage maps we need to mark out on the ground where the extensions are and then find the existing drainage lines. This is done by pushing a metal rod into the ground and listening and feeling for a change in the soil profile (a little like when you walk on gravel) – it’s usually very obvious once it’s found. 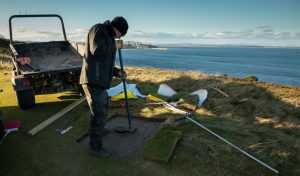 A turf cutter is then used to remove the surface layer of grass. This will then be placed in the exact order it was taken up so once replaced it looks as if nothing has been done. We have two machines that are capable of digging trenches; one fits to the back of a tractor called a Shilton Whiz Wheel and the other is a Ditchwitch. Due to the wet ground conditions our winter tractor use on the course has been very limited so to reduce any potential damage we decided to use the Ditchwitch to carry out the work. Below is a short video clip of the machine in action. The Ditchwitch leaves a clean cut trench about 100mm wide. The soil is churned out onto boards and then cleaned away with shovels. 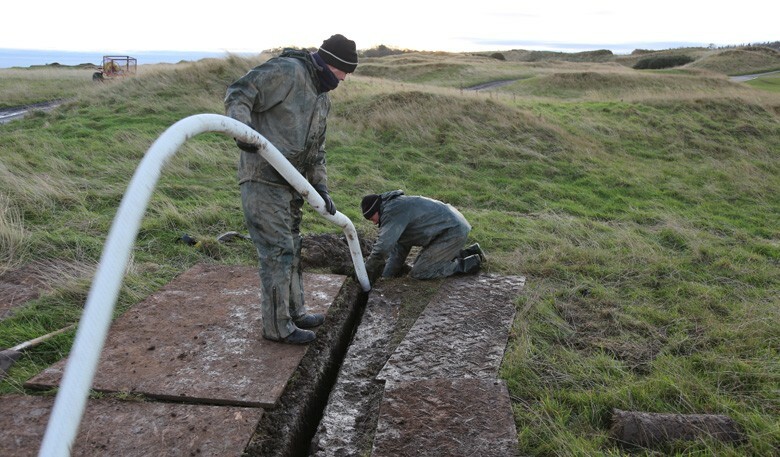 The trench is checked for any debris that might have fallen in before a perforated pipe is laid. This then needs to be connected to the existing drainage lines so the flow of water has no obstacles. The trenches are then back filled with pea gravel. The location of the new drainage will determine at what depth the gravel is filled to the surface. 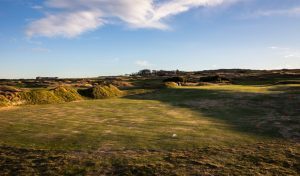 Usually in the deep rough gravel will be brought nearer to the surface to maximise the removal of surface water, whereas on the fairways and semi-rough a layer of sand is required so the turf can root into it. If this isn’t followed through then there’s potential for the drainage lines to dry up more than the surrounding turf in dry periods, which doesn’t look attractive. Read about how we maximise the efficiency of our drainage lines in Part 2 of this blog, available soon!